[official info] Abolition went back to the studio to record the successor of their self titled 12". 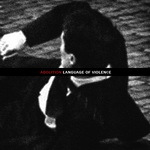 Today we are beyond psyched to announce that The Essence will be releasing the new 7" entitled "Language of Violence" - definitely the finest effort Abolition has ever produced. More details on release date and pre-orders to follow soon. Check out new song Alienation and lyrics here!